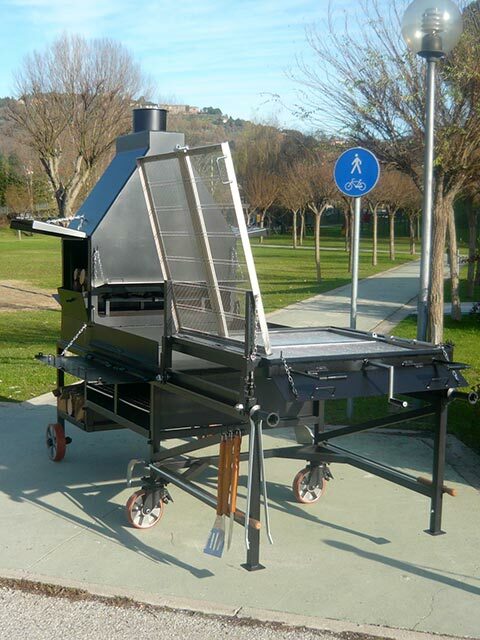 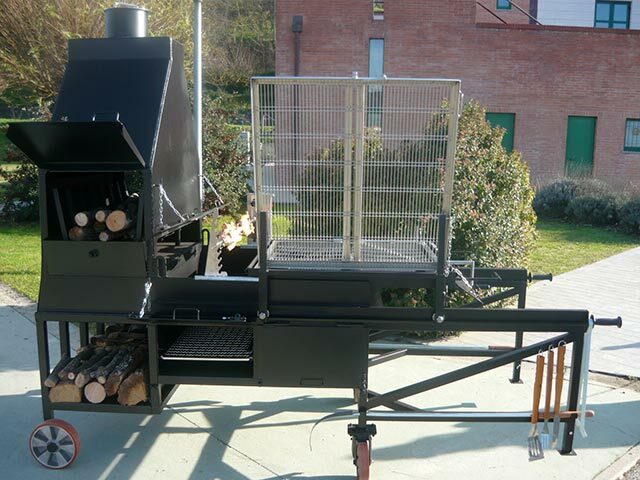 The Kilimanjaro barbecue (grill) is designed for large grills and has a cooking surface of approximately 1 square meter. 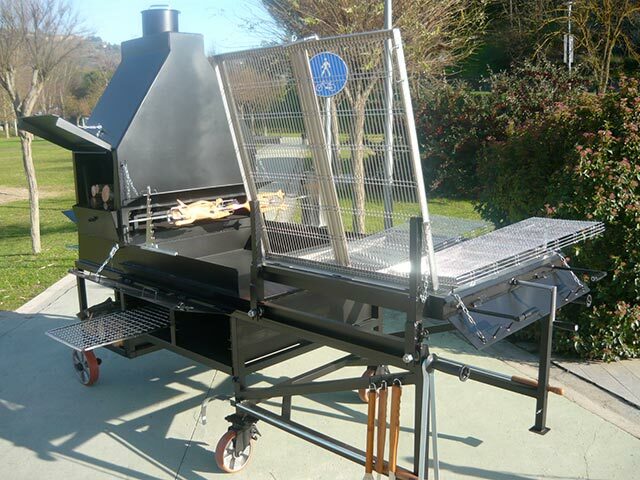 The stainless steel grille is made so that it rotates on itself to avoid manual contact with the meat placed inside it. 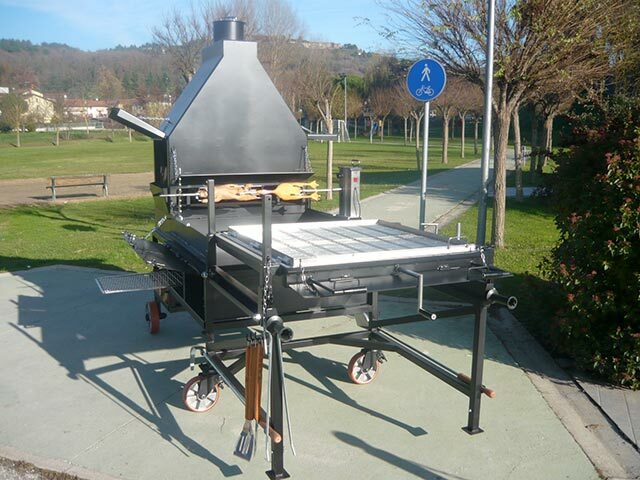 The support holding the grill or cooking surface is specifically designed to facilitate its turning; everything is placed on a sliding rack with four wheels. 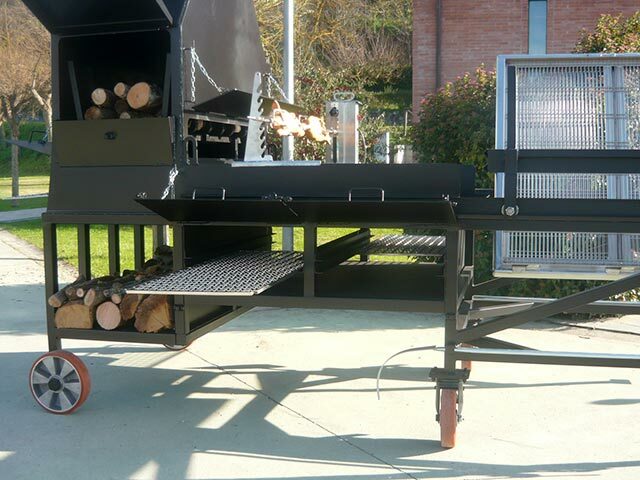 The Kilimanjaro (grill) can cook different dishes from the usual grilled meats, for example baked pasta, roasts, potatoes etc. 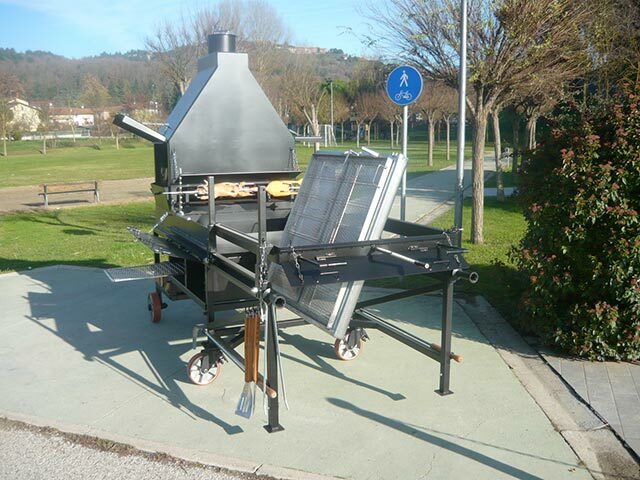 … all those foods that you usually cook in a traditional oven. 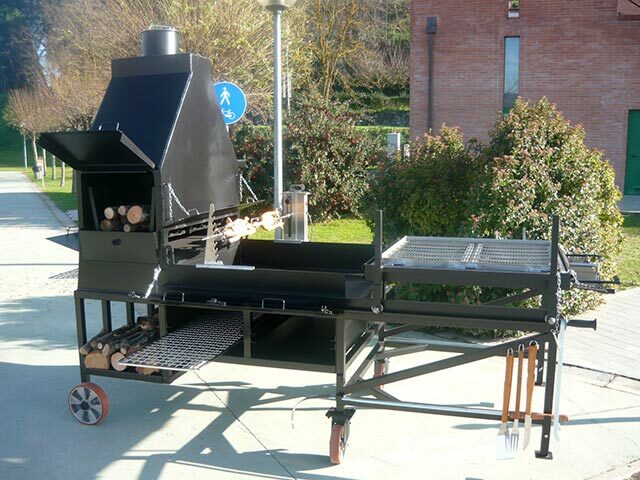 All this because they were made of two compartments positioned beneath the oven combustion chamber, composed of two grills. 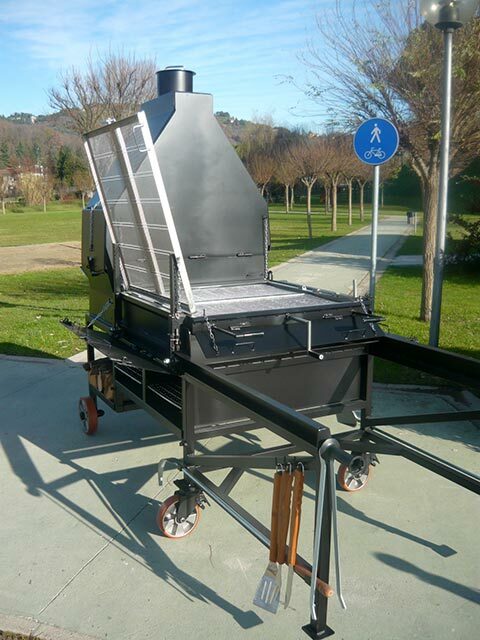 Under the oven there is another convenient built-in compartment for storing wood, coal and charcoal etc. 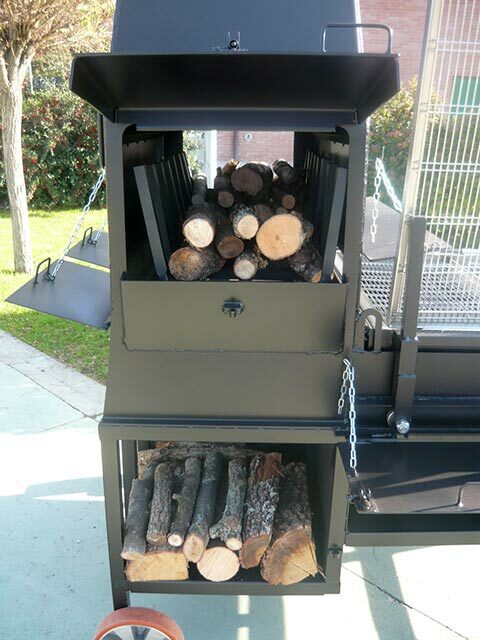 An other amenity that should not be underestimated is the compartment behind the stove that keeps food warm; it is formed like a large drawer open from two sides with two independent adjustable grids and four adjustable doors with special chains. 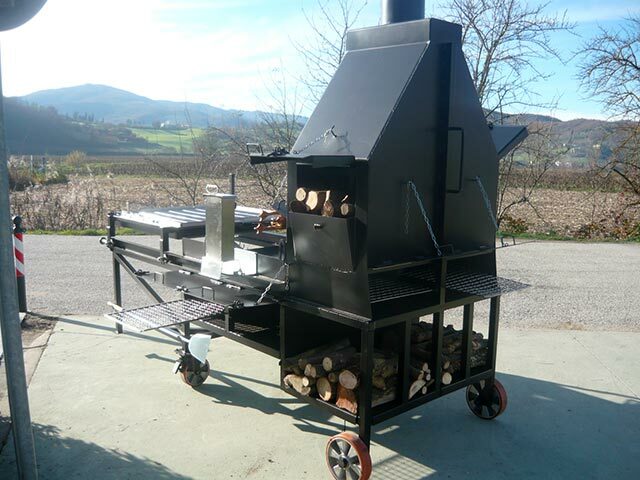 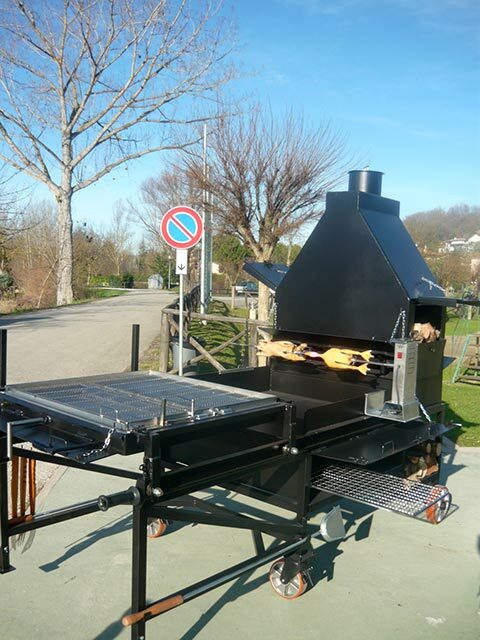 A feature not to be underestimated by this model is the flue baffle and adjustable wood doors are located 3 savings in the hood, two on the side and one on the front, locking them in various positions to hold the burning coals during work and vice versa when the grill is not needed. 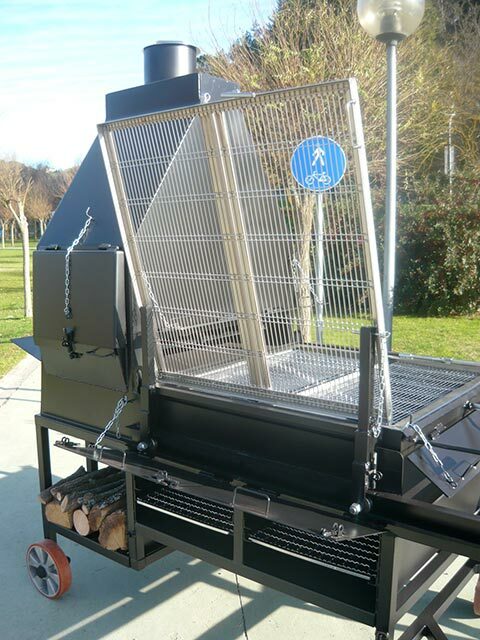 The Kilimanjaro barbecue (grill), being very bulky and heavy, is placed on four wheels, two for steering with brakes. 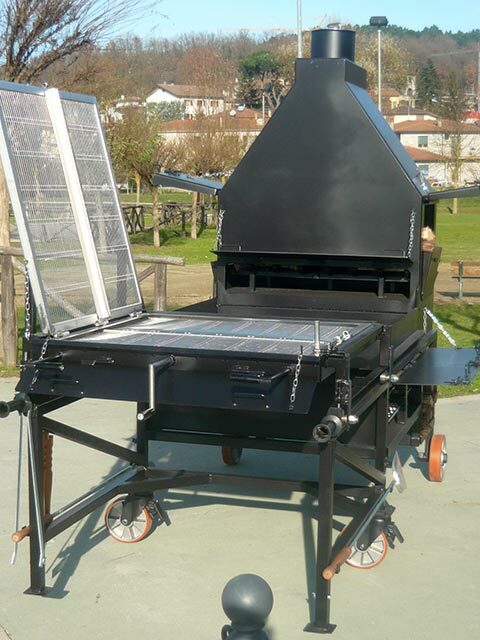 Kilimanjaro comes with the work kit (fire shovel – grill pull -tongs — meat fork-knife – meat spit).